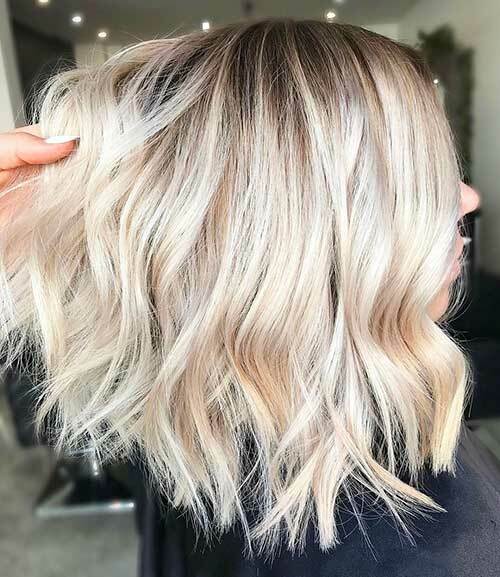 Back in 80’s, there were not enough blonde hair color shades but nowadays there are lots of different blonde shades that any women with light to dark skin tones can find the perfect shade for themselves. 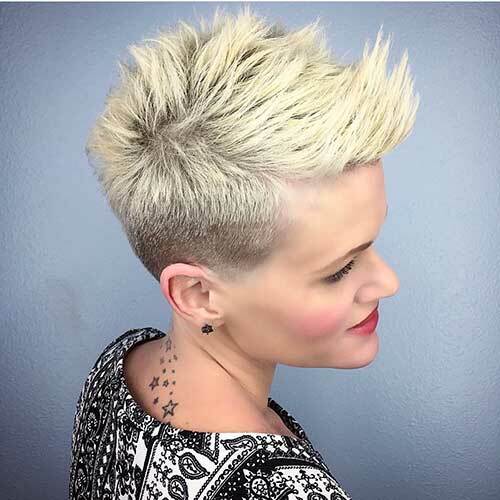 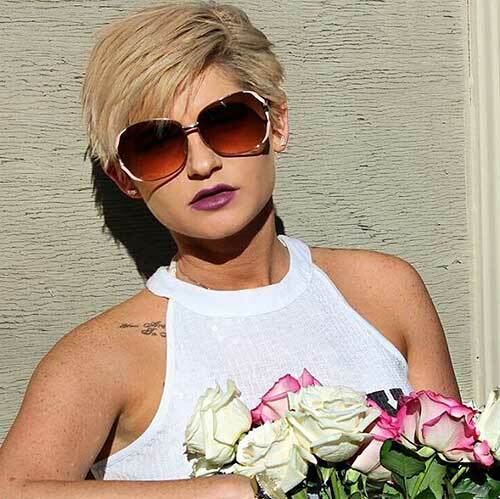 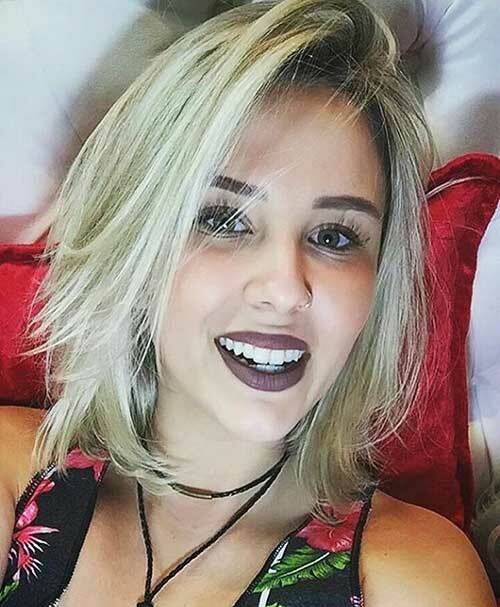 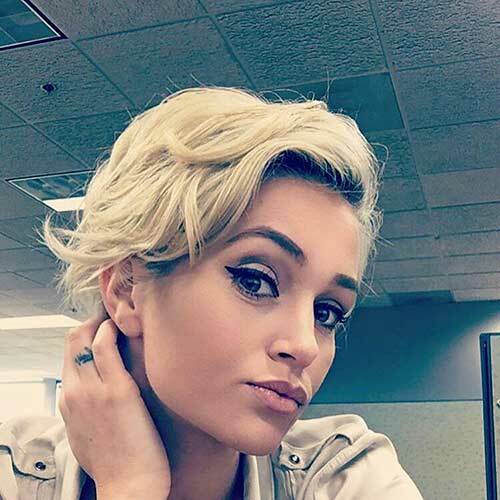 Let’s take a look at these blonde colors on short hair. 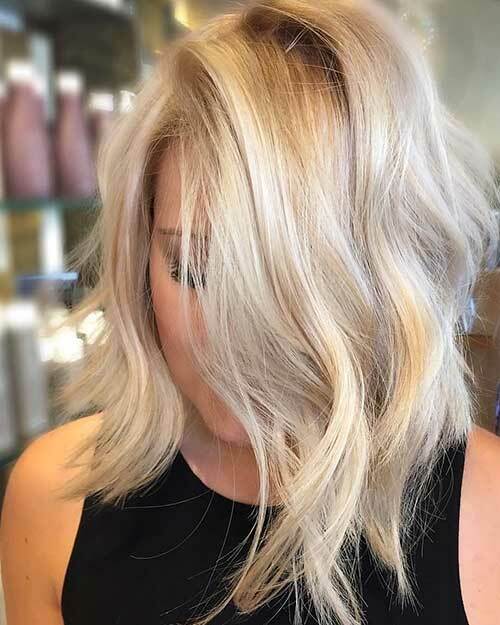 Skin tone is really important but if you have light skin tone you can sport any blonde shade you want except ash color because it will make you look pale. 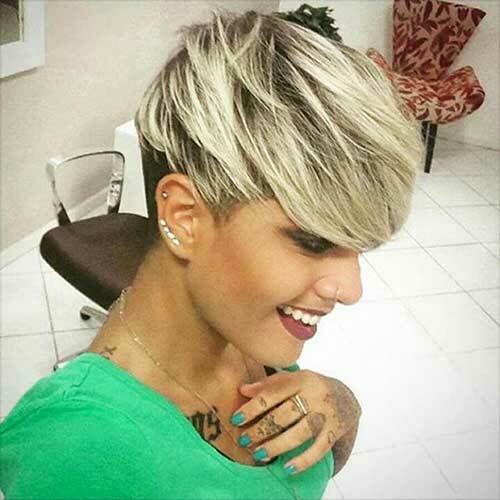 If you have light to medium skin tone and fine hair this angled choppy short bob is perfect for you. 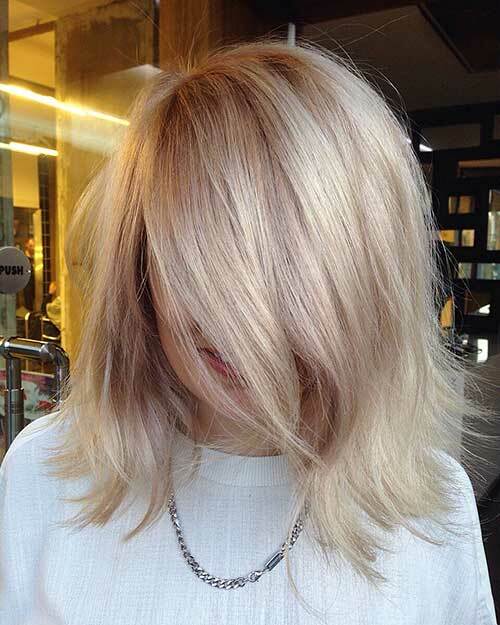 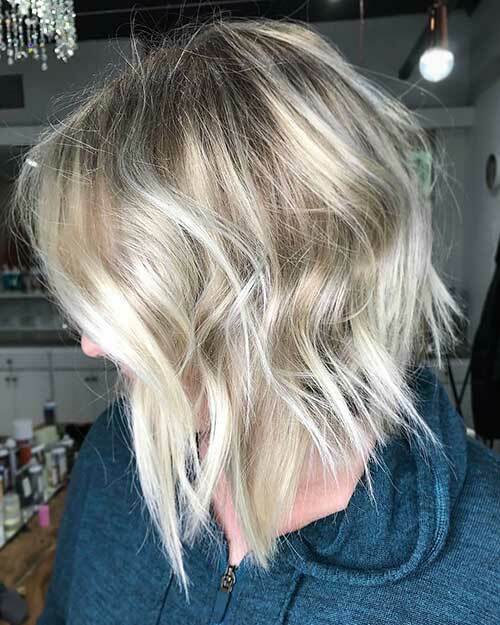 This layered short bob is colored with ash blonde and dark roots add a nice and modern look. 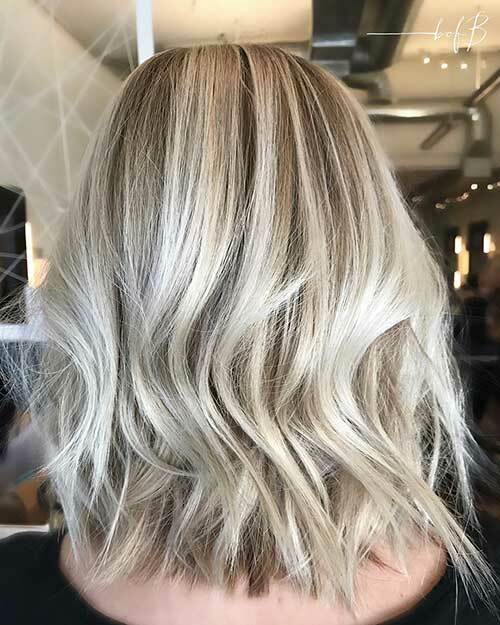 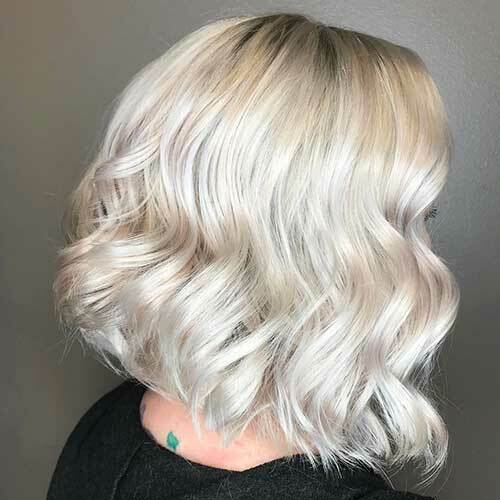 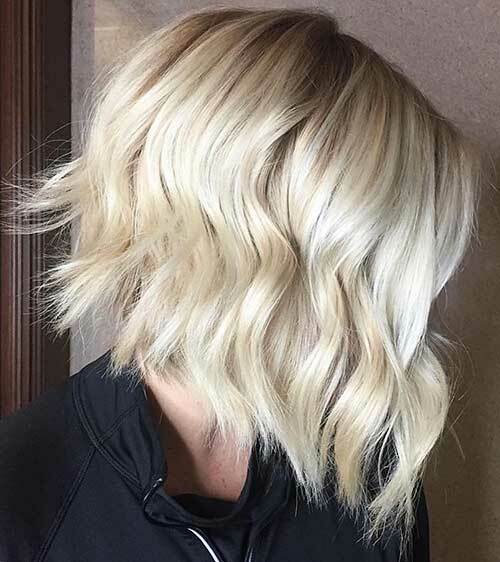 Here is a long bob hairstyle with platinum blonde ombre color and dark roots, it is styled into beach waves too emphasize the modern style. 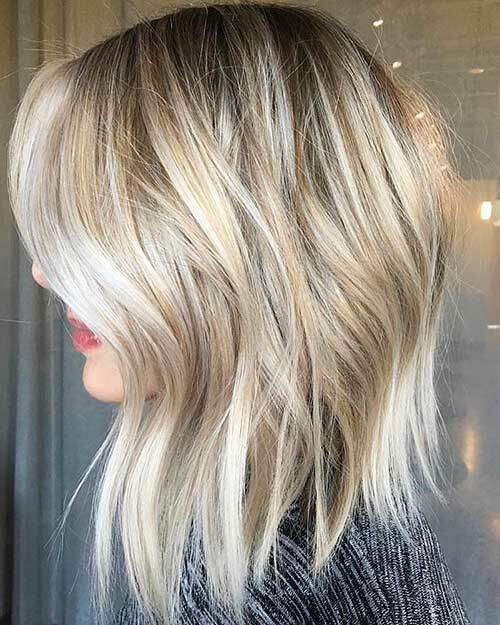 As you can see if you want to adopt blonde hair as ombre it should look really natural, this way you will look gorgeous. 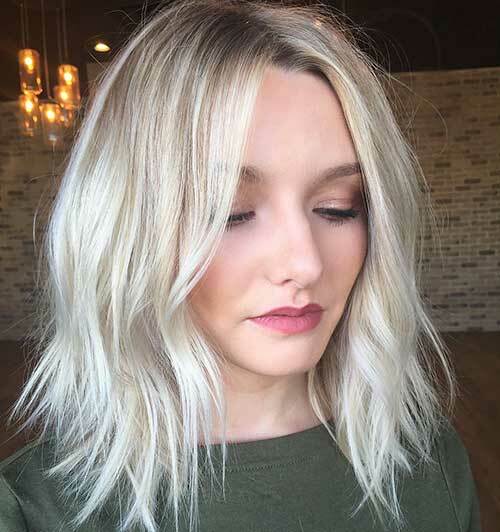 This layered long bob hair looks absolutely gorgeous with sand blonde hair color that flatters the haircut perfectly. 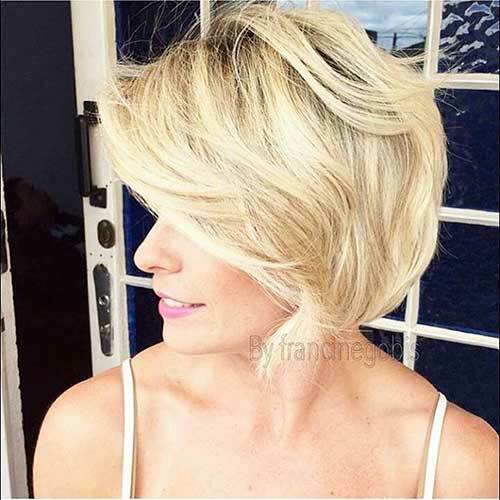 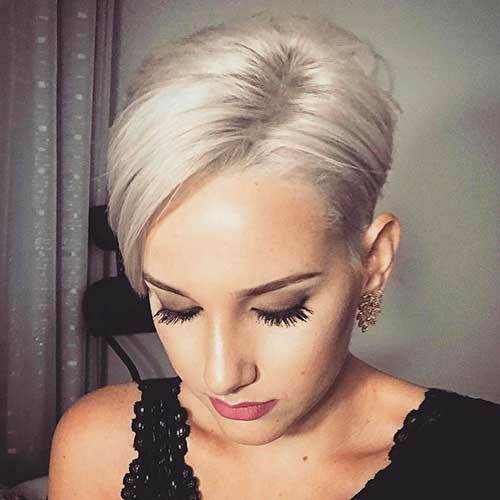 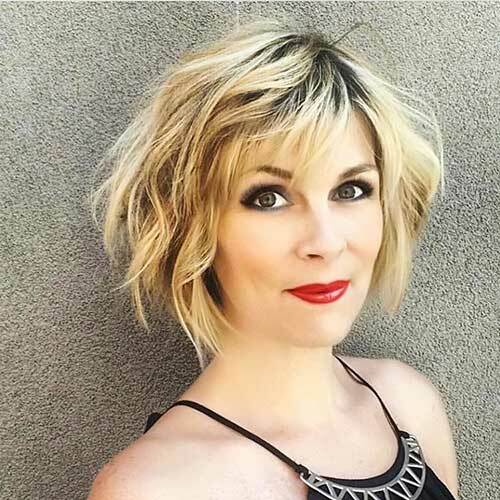 Here is a really modern short bob hairstyle with layering and darker roots, this blonde hair color shade is classy but chic. 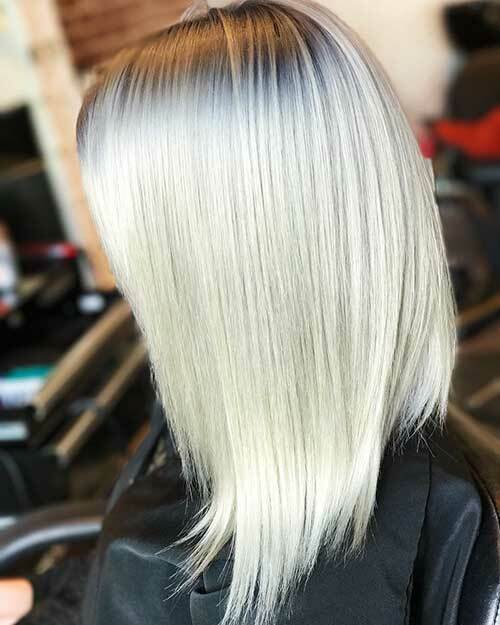 Platinum blonde hair color is really popular and it looks definitely gorgeous on any hair type and skin tone.